So I have a set of j15cb irons that are collecting dust I thought about having them reshafted to something that would fit my 10 yr old. Would this be a bad idea? If it’s a good idea what shaft recommendations do you have? What would they need shafted with? Will the headweifht throw everything off build wise? So I have a set of j15cb irons that are collecting dust I thought about having them reshafted to something that would fit my 10 yr old. Would this be a bad idea? If it's a good idea what shaft recommendations do you have? Headweight possibly an issue. You could be sure to put in graphite shafts to keep overall club weight down and play with different grip weights to play around with swing weight numbers (if you even care about swing weight). Bottom line is it is a bunch of experimentation. You could end up spending more then getting a properly built set from USKG for this age of kid. USKG did spend a great amount of time, energy, engineering and money to make clubs that do well by nearly all accounts (exceptions granted). Perhaps just save the J15CB's for when he turns 12-13-14 years old. Also, good iron information here on "transition irons" for juniors. If the J15's are similar to these, you may get some ideas if you do decide to build. Before I did anything, I would see if there were any kids your child's age that had adult irons and try those first. You don't want to spend a bunch of money for nothing. My daughter is 11 and I got her the Cobra F8 irons with recoil shafts in them. She hits them fine now but there was an adjustment phase because of the weight. I recently had a friend call me about getting clubs for his daughter. I brought them out to the range and she hit my daughter's irons as well as the US Kids TS3 57" irons with steel shafts. It was obvious right away that she hit the TS3 irons much better. 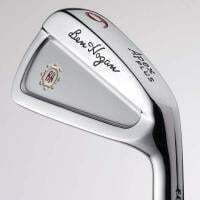 I would definitely try those TS3 irons with the steel shafts before I did anything. I am sure they will work ok if you shaft them with the correct shafts. Almost anything will work if you just want clubs and reshaft them with light shafts. The question really is are they the best clubs for them and get the best results when playing. I would be worried J15 irons will be not forgiving enough and scores will be better with a different club. For a 10 year old or really anyone the first question you need to ask is how strong are they and how much have they played. For an average 10 year old a junior set is usually a good bet. US Kids sets are cheap and readily available so I would try those first. If your kid is strong and can really swing the club go to demo days and have them try to make up a set. The cheapest option is almost always sell your clubs and buy what fits. It's easily $200 for good shafts that actually fit and that is if you do it yourself. If you get someone else to do it you might as well buy a new set. Also if you don't want the driver and woods for US kids it easy to just order the irons to save some money. The new TS3 US kids has a decent driver and irons and I would not buy an OEM driver unless the kids was driving more then 175 with it. See way too many people spend tons of money on OEM stuff for younger kids that isn't a big deal anymore. Zelos steel shafts will work fine if they’ve been striking tour series well in the past. I think the Zelos 7 is lighter than the 8.